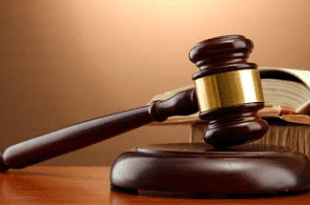 A 45-year-old businessman, Garbar Pakachi, on Thursday approached a Nyanya Customary Court, Abuja, to dissolve his 22-year marriage over his wife’s inability to cook on a daily basis. Pakachi in his divorce petition alleged that since he married Martha Ahmed, he has never known peace. “Since I got married to my wife, we have never had peace in our marriage; she has the habit of disobeying me. “Worst of all, is that she cooks only once a week,” he said. The petitioner also said that the wife hardly spends time at home with the family. Other allegations were that the wife attended night clubs without his permission. “One night around 3:30am, I went to my wife’s room and discovered that she left our last child all alone in the room, and she was nowhere to be found. “Immediately I called her phone to know her whereabouts; to my greatest surprise she told me that she was in a night club, and she did not return until 4:00am,” he said. He told the court that all efforts he had made over the years to correct his wife’s behaviour proved abortive, and that he was tired of the marriage. The petitioner begged the court to dissolve the marriage and give him custody of the four children of the marriage. The respondent, Martha Ahmed, a businesswoman who was present in court, also said she was tired of the marriage. She begged the court to give her custody of the last child of the marriage. The judge, Jemilu Jega, admonished the couple, adding that 22 years of marriage was not a joke. He advised the couple to reconcile and adjourned the case until Nov. 21 for judgement.